Zhou Xun: Costumed design of spy movie "The Message"
"The Message" is an upcoming World War Two espionage thriller. The film's official website was launched recently, and viewers got a sneak peak for the much-anticipated movie through its trailer. Its all-star cast is the key draw, but the costume design is also getting a lot of attention. The movie gathers some of the country's A-list movie stars, including Zhou Xun, Li Bingbing, Zhang Hanyu, and Alec Su. The story was set in 1942 in Nanjing. Following a series of assassination attempts on officials of the Japanese-controlled puppet government, the Japanese spy chief gathers a group of suspects in a mansion home for questioning. A tense game of cat and mouse ensues as the Chinese code-breaker attempts to send out a crucial message while protecting his own identity. Timmy Yip worked as costume designer for the movie. As a renowned artist, he has multi-disciplinary works in costume design, visual art, and contemporary art. He is most well known for "Crouching Tiger and Hidden Dragon", for which he won an Oscar for Best Art Direction. Costumed designer Timmy Yip said, "Costumes in that era are not as simple as they look. They contain a lot of properties. I conducted extensive research beforehand and found quite a lot of information in previous films. Finally, we decided to go with the cheong-sam for the lead actresses." Accessories were also featured heavily in this darkly rich espionage thriller. Officers and soldiers of various military regimes wore starkly different uniforms of different colors and patterns. Tim has specially accentuated the tailoring, which made the outfits all fit closely. He tailored the costumes according to each actor's physique. Timmy Yip said, "For the military uniforms, I gave prominence to its tailoring." Actor Wang Zhiwen said, "I like it so much. It's the first time for me to see such costumes in a mainland movie." The film's two lead actresses Zhou Xun and Li Bingbing wore the cheong-sam, with which Tim has long been fascinated. Tim's unique aesthetics have helped the world understand the beauty of Chinese culture and arts. The two actresses star as two code-breakers. They present different looks on the film's poster. 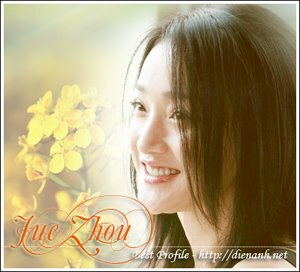 Zhou Xun, best know for her highly emotional roles, puts on an passive and thoughtful face. Li Bingbing, who plays Zhou Xun's senior, appears in the poster with a questioning, sober, and intellectual look. Actress Zhou Xun said, "It's the first time for me to star alongside Li Bingbing. There's a scene for us two have a dialogue that is as long as twelve minutes. With concerted effort, we finished it in one day." Lead actress Lin Bingbing said, "We just throw everything aside and focus on our acting. You can see it when the film goes on general release. It must be very stimulating." The film is produced by China's leading movie production company, Huayi Brothers, and is set to be released in October.